Everybody hates 'em, but more and more Americans find themselves living under the confines of broadband data caps. Each month, millions of households wrestle with balancing their internet use against staying under their usage limits. As the number of users affected by data caps grows, so do the number of complaints. FCC Chairman Tom Wheeler said the agency has been looking at data caps: "It's not a new topic to us, that's for damn sure," he said. But regulators and legislators have yet to do anything about them -- and they should. Here's why. Whatever or not you believe data caps are fair, there can be no argument that the meters used to measure usage should be accurate and transparent -- only they're not. For all that Comcast CEO Brian Roberts likes to claim that broadband data is exactly like electricity, and customers who use more should pay more, the company has fought tooth and nail against being regulated like a utility. There is no agency akin to FERC regulating broadband metering devices. 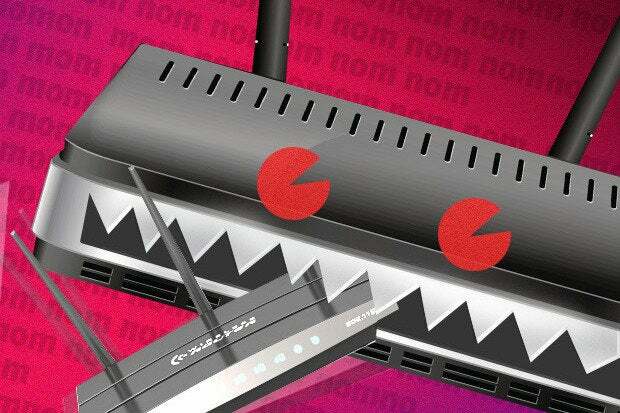 Unsurprisingly, there are abundant reports of ISPs charging consumers for usage while they aren't home, while their modems are disconnected or the power is out. According to DSLReports, the FCC has received 13,000 complaints about Comcast's data caps this year, many of them claiming the company's meters don't match users' own router statistics. Ars Technica this month recounted in exhaustive detail the experiences of four Comcast customers in different parts of the country who were walloped with exorbitant overage fees -- more than $1,500 in one case -- for broadband they insist they couldn't possibly have consumed. Comcast's response in all cases (surprise!) was to tell customers the meters were accurate and should not be questioned. "We know that our meter is right ... with our meter, we give you a guarantee that it is perfect," a Comcast customer service rep insisted to a subscriber who disputed data charges. Who says the customer is always right? Comcast is so confident about the accuracy of its meters because NetForecast, the firm that Comcast pays to conduct periodic assessments of its usage meters, conducted measurements in 55 homes last year -- an infinitesimal fraction of Comcast's 23.8 million broadband customers -- and found that Comcast met its goal of 99 percent accuracy. Tech-savvy customers often turn to third-party firmware like DD-WRT to measure their usage. One subscriber has used free Tomato firmware to measure his Comcast data usage since mid-2013 and found repeated discrepancies -- with Comcast's data meter frequently producing readings at least 10 percent higher than his own readings -- and on occasion as much as 52 percent higher. At other times Comcast's readings were lower than his own or nearly identical. The company never gave any official word on what could have caused the differences. In no case of disputed overage charges would the company provide proof the data was consumed or say what websites it was used on or by what method it was measured. "If Comcast, the nation's largest internet provider, can't determine what's pushing its subscribers over their data caps, why should customers be expected to figure it out on their own?" Ars asked. This is not a new problem -- it's been going on for years. ISPs have an obligation under the Open Internet Transparency Rule to disclose accurate information about the performance and cost of their services. If they are unable to provide that, there's a simple solution to usage meter problems: Abolish caps. The accuracy of usage meters is only part of the problem with data caps. Fact is, caps on home broadband use aren't necessary in the first place. Data caps are the result of ISPs taking full advantage of a lack of competition in the broadband market to gouge consumers. Back in 2012, a law was submitted in the Senate that would have restricted ISPs' use of data caps solely to addressing network congestion. The Data Cap Integrity Act came in response to a study from nonprofit group The New America Foundation, which concluded that data caps on broadband usage serve only to bilk customers and stifle online innovation, rather than ensuring that internet data travels the network lines unfettered. Comcast admitted to the FCC in a disclosure document that data caps "do not address the issue of network congestion, which results from traffic levels that vary from minute to minute." A Comcast exec admitted caps are a "business policy" rather than a technical necessity. Instead, Comcast likes to claim, data caps are about "fairness," to ensure that customers who use more pay more. But a study from the National Bureau of Economic Research found that people on unlimited data plans effectively pay less per gigabyte of data compared to those on metered plans -- about $1.68 versus $3.02, respectively, or a difference of nearly 80 percent. And you don't see Comcast offering to reimburse the difference to customers who consume less than their data allowance each month. Where's the fairness in that? "Supporters of internet data caps want to have things both ways: admitting that the monthly usage limits have nothing to do with congestion, while simultaneously arguing that those who use the most should pay more (but not that those who use the least should get any discount)," Consumerist writes. Americans already pay some of the highest broadband rates in the world. Increasingly, ISPs are gauging subscribers with overage fees on top – or urging customers to sign up for an unlimited data plan, which in Comcast’s case adds a whopping $50 more per month. A Pew Research Center study found that adoption of home broadband has plateaued at 67 percent of Americans, down slightly from 70 percent in 2013. The monthly cost of service is cited by non-adopters as the most important reason for not having home broadband, even though not having service is seen by two-thirds of Americans as a major disadvantage to finding a job, getting health information, or accessing other key information. Comcast's profit margins on high-speed Internet exceed 90 percent, and Time Warner Cable's broadband margins were 97 percent in 2013, CIO reports. Comcast posted its strongest earnings in years, racking up a $2.13 billion profit on revenue of $18.8 billion in the first quarter. The company's expanding use of data caps will ensure that revenue stream continues to grow. As I wrote last week, "cable providers are pulling out the stops to make [cord cutting] an expensive proposition. Broadband data caps have become streaming's Achilles' heel." A study from The New America Foundation found that data caps undermine competition by discouraging consumers from turning to services like Netflix, Hulu, and Crackle. Another point of contention: The streaming services offered by ISPs like Cox and Comcast are exempt from their data caps, while streaming from rivals like Netflix and YouTube is not. Research from the National Bureau of Economic Research shows home broadband data caps have a dramatic effect on consumer behavior. "We see people pull back substantially when the possibility of overages comes up," Jonathan Williams, co-author of the paper and an assistant professor of economics at the University of North Carolina at Chapel Hill, told the Washington Post. The Government Accountability Office (GAO) has raised concerns that usage-based pricing could cause consumers to limit their use of data-heavy content and applications. Limiting heavy users could in turn "limit innovation and development of data-heavy applications," the GAO warned. The New America Foundation report concurred: "The future [of the internet] is not just about streaming movies or TV shows, but also access to online education or telehealth services that are just starting to take off. Capping their future may mean capping the nation's future as well." The root cause for data caps -- apart from greed -- is that the U.S. broadband market is growing ever less competitive. Last year the Justice Department noted that 70 percent of U.S. homes have access to only one or no provider that offers 25Mbps speeds -- the standard definition of broadband. Thanks to industry-backed/written state laws banning competition from municipal broadband, that situation is unlikely to improve any time soon. Participants in the GAO focus group on home broadband said they would look to switch providers if faced with data caps, but lack a choice. That plaint was echoed by a customer who challenged Comcast's overage fees and said he would switch broadband providers, but Comcast was the only viable option where he lives. Advocacy group Stop the Cap is fighting to get regulators to stop the broadband data cap trend. "If consumers simply accept broadband data caps," CIO writes, "the FCC -- which is currently investigating them -- will have less incentive to crack down."